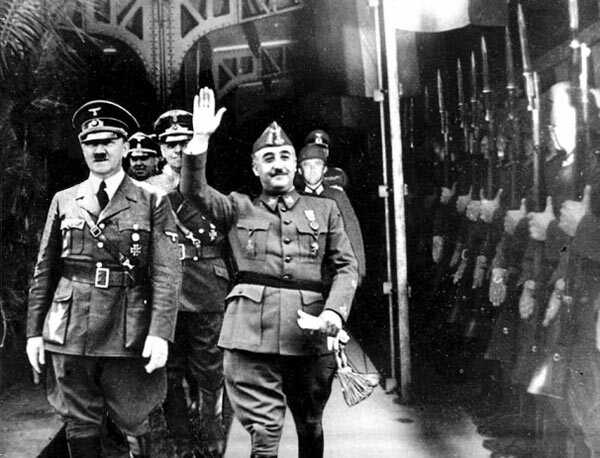 The incredible story of the ultimately unsuccessful attempt by Spanish anarchists to assassinate military dictator General Franco from the air in 1948. Published by the Kate Sharpley Library, who kindly gave us permission to digitise and put this text online, in 1992 the full title of this pamphlet is The unsung struggle: resistance to Franco 1939-1951 - The plot to assassinate Franco from the air, 1948. It was republished in 2006 as The assassination attempt on Franco from the air, 1948 and we heartily recommend you purchase this text which you can do via this link. Alternately, if you enjoyed this text please consider donating them a small sum to enable them to continue bringing anarchist and radical history to life. The text is scanned in PDF format. We also attach a partially OCRed version of the text. We would like to include the fully OCRed and formatted version of the text here but do not have time at present so if you can help us by tidying up the text please do! Any questions about this you can ask in the comments below or in our feedback forum.